If you’re into the sport of hockey, odds are you’re already familiar with pond hockey. 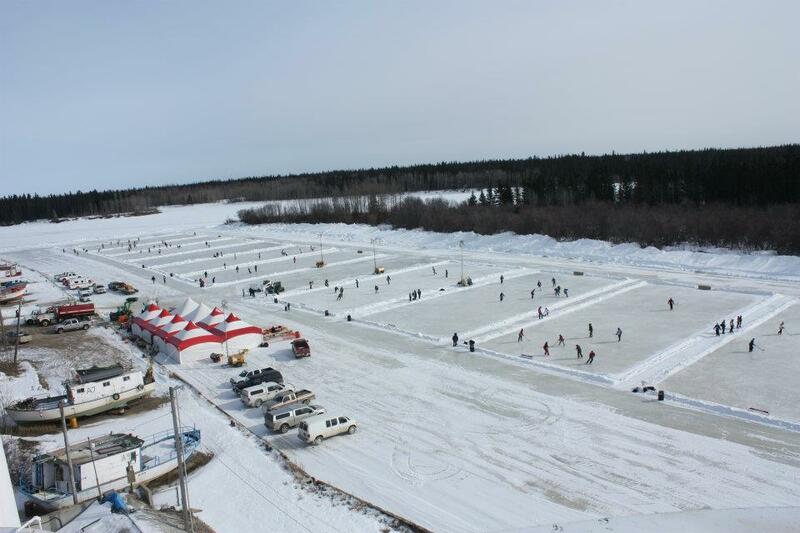 But some of our readers are just getting into the sport, so we want to take time to talk about pond hockey – what it is, where it got started (still under debate) and all the different tournaments going on today and how to get involved. In short, pond hockey is extremely similar to traditional ice hockey. Pond hockey is played outside, typically on a lake or a pond much smaller than a traditional rink (usually 50-80% the size of an NHL rink). There are no barriers (usually just a naturally formed snow bank around the perimeter), and the goal is usually much smaller and shorter than traditional hockey. 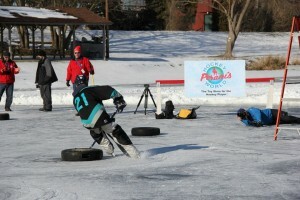 Pond hockey is an informal version of the game, but it requires a lot more emphasis on skating (speed and quick turns for example) and more accurate shooting (due to the smaller goal, lack of a formal goalie and barriers). Although pond hockey is usually more informal than traditional ice hockey, it is typically still considered an organized sport, especially today as its popularity continues to increase. There are many stories as to how pond hockey first got started and it depends on who you ask. Some recount a famous Navajo story where a stranger challenged a Navajo god, and others simply say it came from being a poor man’s version of the sport, in more of a pick-up game facet. Since you don’t need to rent ice time, this version of its start makes the most sense to many, but again, it all depends on who you ask. Pond hockey also discourages rough, physical contact (remember, it’s more about speed skating ability and accurate shooting), so you don’t need nearly as much equipment as the traditional game we all know, once again keeping the costs considerably down. Good passing and accurate shooting are of most importance in pond hockey. Remember, there are no barriers, so an errant shot (ones we are all guilty of from time to time) can get lost forever in the snow. You don’t have the barriers to keep the shot from bouncing out of the rink like you do in traditional ice hockey. Not the end of the world, but certainly takes away from the game, and can get costly! As for now, pond hockey is still very much a part of the hockey world, with highly talked about tournaments taking place all throughout the country. Speaking of tournaments, check out U.S. Pond Hockey Championships website for official rules, tournament listings and much more. 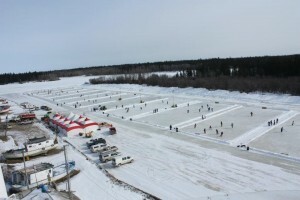 Here is another list of pond hockey tournaments in North America you can check out. There are tons of other tournaments you can learn about from a quick Google search. We’re curious – what do you know about pond hockey? What questions do you have? If you’ve played pond hockey before – do you prefer that over traditional ice hockey? Let us know in the comments section – we love hearing from you!